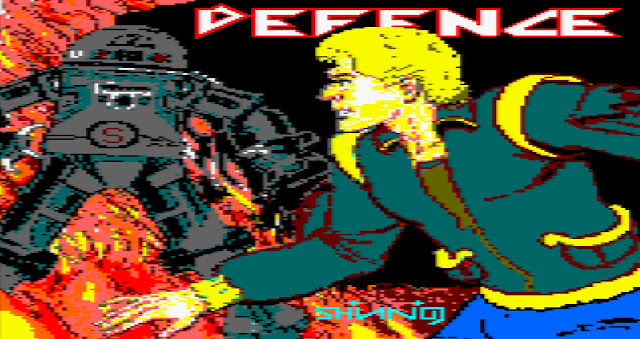 Indie Retro News: Defence - A brand new Amstrad CPC game by Shining features a classy soundtrack! Defence - A brand new Amstrad CPC game by Shining features a classy soundtrack! We get so many homebrew games it's really nice that developers change the genre slightly and they aren't all platformers and shooters. 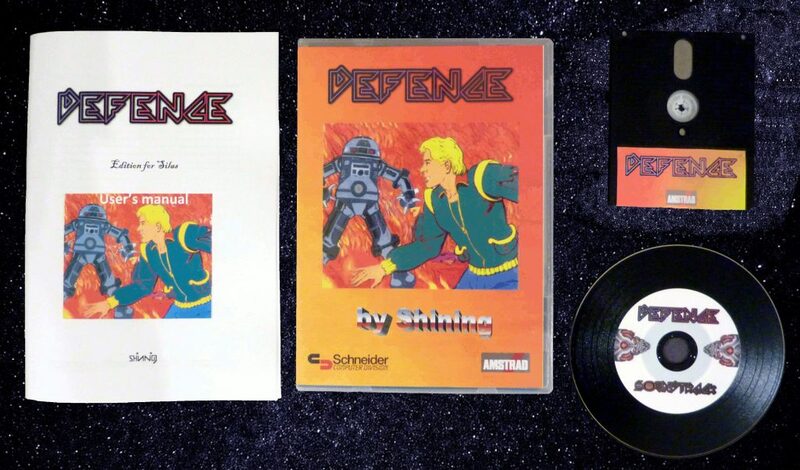 This is especially true of Shining's new Amstrad CPC disk based game ' Defence ', which is free to download and play and also available as a rather nice physical personalized disk edition with lovely cover, manual and soundtrack on Vinyl-CDR including digital edition. If you enjoy Tower defense games then read on as this is exactly that! This game was developed in 3 years and finally today it has appeared for all to play. The idea of the game is simple enough such as in every other tower defense game, to stop the enemy units from reaching their goal by strategic placement of weaponry systems. Simply by selecting a weapon using the buttons 1 - 4 and then placing them along the chosen path will have an affect on the enemy units depending what weapon has been placed. One for example is a blaster good for ground based enemies while another might be for slowing them down allowing for more damage. You can also later buy upgrades with available finances, which really adds to this rather interesting game.